Arkade Earth is one of the latest residential projects here by Arkade Group that is nothing short of spectacular and offers a modern-day lifestyle of pure luxury and comfort. Arkade Earth is currently a new Launch project and is available at approximate price of 19125 Per Sq. Ft.extended across beautiful acres of land. This development contains magnificent structures that offer 1BHK, 2BHK as well as 3BHK luxury apartments of different configurations. The possession is likely to be in October 2020. Arkade Earth is one of the housing improvements of Arcade Group. It provides large and skilfully developed 1 BHK, 2 BHK & 3 BHK residences with starting area from 447 Sq.ft To 1052 Sq.ft . The project is well organized with all the simple features to facilitate the demands of the people. Arkade Earth is a large project spread over an area of 4 acres. The apartments contain high-end furnishingshigh-quality flooring, fittings, plush doors and windows providing beautiful landscape views, electrical ports stylish kitchens perfectly for total convenience, safety features and more. The location of Arkade Earth makes sure that the home-seekers are choosing the right apartments for themselves. 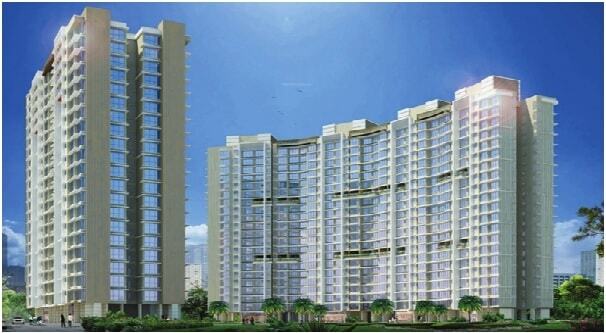 It is at one of the most prestigious address of Mumbai with many facilities and utilities nearby Kanjurmarg location. It is situated at a range of around 40 kilometers from Thane & 53 kilometers from the area of Jalna, Asangaon is a future housing area. Many new housing residences, universities, retail outlets, financial institutions and cafes have been designed in the area due to the improvement of 400 odd non-polluting businesses in Asangaon Commercial Area and Oswal Industrial Estate, nearby. There are lots of choices available in inexpensive apartments in Asangaon section. Kanjurmarg Rail Station is just 2.8 kilometers from project area, Chhatrapati Shivaji International Airport lies about 12 km away. The area is home to many reputed educational institutions, hospitals, and shopping malls. Out of the many world class facilities the major amenities in Arkade Earth includes Play Area, Security, Senior Citizen Park, Swimming Pool, Car Parking, CCTV Cameras, Club House, Jogging Track, 24Hr Backup Electricity, Amphitheater and Open Lawns, Lift, Multi-purpose Hall, Toddlers Pool and Volley Ball. Arkade Earth Project is near Seth Govind Ram Jolly Marg junction, Kanjur Village Road, Kanjurmarg, Mumbai. Schools: - ITI Mulund School, nalinibai school, Powai English High School,Keshav Pada Marathi Hindi High School, Daffodils High Public School, M.S,P.Mandals Marathi Vidyalaya. Hospitals: - CGHS Wellness Centre in Mulund, Aditi Hospital, RG Stone Urology Centre, Balahi Speciality Hospital. Bus Stations: - Kanjur Bus Station, Mansukh Deyig Bus Stop. Railway Stations: - Nahur Railway Station, Bhandup Railway Station, Vikhroli Railway Station, Kanjurmarg Railway Station. Banks/ ATMs: - Axis Bank ATM, State Bank ATM, PMC Bank ATM. Shopping Malls: - Magnet Mall, Huma Malls, Galleria Mall, Dreams Mall. Pharmacies: - Ankur Medical Store, Vidhit Medical, Sharada Chemist. Restaurants: - Goapala’s veg Kitchen, Cheftoon, Jyoti Bar Restaurant. Movie Theatres: - R Big Cinemas Multiplex, Saaz Cinema, Cinepolis, Govinda Cinema Hall.